Extremely excited to finally share that I have been selected to be this years recipient of the Joan Wakelin Award administrated by the The Royal Photographic Society. I will be working closely with a number of families in Venezuela this December. Exploring the increasing migration and lack of opportunities. This november 30th I will be exhibiting as part of the OffSpring Photo Meet Best Portfolio Awards at ThePrintSpace. Along with Joel Redman and Jon Tonks. I am very excited for the show, bellow there is the link for there for the RSVP for the private viewing. I hope you see you there. This past September I was part of The Pingyao International Photography Festival 2017 show in China, along with a number of talented artists based in the UK. It was a pleasure to be part of this exhibition, here there are some shots of the opening. Special thanks to Sian Bonnell. Extremely happy with the result of the Royal Photographic Society exhibition, it has been an honour to be part of the exhibtion. Special thanks to Sally Smart and the RPS team that made everything possible, I will be sharing about the upcoming exhibitions around the country. Here I share some images of the opening night and I hope you enjoy it. 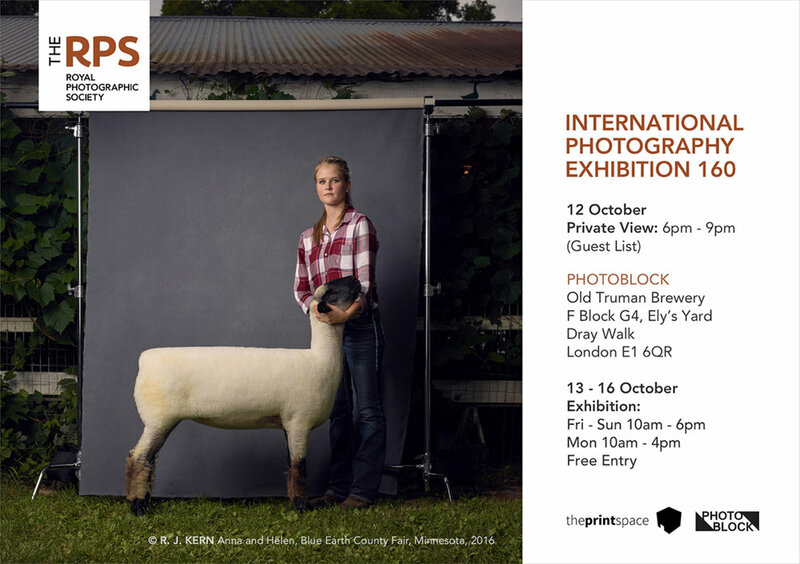 This Thursday the 12th of October I will be exhibiting at the PHOTOBLOCK in London as part of the RPS 160 as one of the finalists, so honored to be part of this. The show will travel around the country during this year and next year. Hope you make it down to see the work. I am extremely happy to announce that I won the bronze medal for the Best Portfolio Award at the OffSpring Photomeet event, after meeting a number of very influential people in the industry I was announced to be part of this award. I will be exhibiting my work along two excellent artists at ThePrintSpace this November. Opening night will take place on November 30th. During my time in Format Festival I visited the photo book fair, I saw amazing books and meet extraordinary artists. I decided to treat myself with Pieter Hugo's book 1994, filled with beautiful portraits which I love more and more. I have always admired him, and I have seen his work from 1994 online but after I looked at them printed it inspired me even more. Here I am sharing Alec Soth's book titled Niagara, this photo book has been one of the most inspiring for me in my practice. I had the pleasure to see his work exhibited in Bradford last year and the portraits are breathtaking, I enjoy appreciating them, how beautifully made they are and the way it allows me to look at the person in them. I hope this book inspires any of you in any way. Today I spent all day printing the final books about my project "Nosotras", I am so happy with the final result. I used Grey recycle paper to give a bit of a newspaper feel, but the images still look sharp and neat. I am hoping to create more copies in the future! I have been lucky enough to have my work featured in Fresh Aire's website, along other many talented young artists. There will be an exhibition taking place on June 1st in Village bookstore at Leeds city centre, displaying a selection of works from young talent around Yorkshire. Also, I am excited to share the leaflet from the event with one of the portraits from my project "Nosotras"
Here I leave the link with my feature. I had the pleasure to be interviewed by La Media News, a platform in Australia directed to the Latin community. Feel free to check the interview out in their website, I talked about my practice, the APHE award and my current project in Venezuela. I am afraid it's written in Spanish, sorry for english speakers, but why not practise your Spanish? Thank your reading and enjoy it! Here is the link for you. In this blog post I would like to share my appreciation of William Eggleston's work, he has been a major influence in the photography world and also has brought a change into my practice as a photographer. After exploring his work intensively in my dissertation I wanted to share his work with you. As it might be influential for any of you in your career. For many photographers, William Eggleston is one of the pioneers in colour photography, during the time he was developing as a photographer, documentary photography was only accepted in black and white. Colour was only used for commercial purposes, therefore as Eggleston is a rebel he decided to photograph the everyday in colour. This created a shock when his work was exhibited at MOMA in 1976, making his photographs be one of the few that inspired the public to accept colour photography to communicate serious matters. His way of working is very unique, Eggleston strives through his life photographing what he sees, along with the saturated colours that stand out in his images. Colour plays a major part in his practice, as if it was a character in his photographs. Specifically in one photograph from his archive where there is a girl sat in the backseat of car, the golden light coming through the window immerses a an idea of innocence. An angelic portrait of this young girl captured by Eggleston. I had the pleasure to visit the National Portrait Gallery a few months ago in London, and see Eggleston's work exhibited. I was submerged in the beautiful prints with the voluptuous colours in it. Which inspired me to explore his work in more depth, which I do not regret. Here I attach a documentary that I found online about his practice. A few weeks ago I found out that I was nominated for APHE Bursary Award. 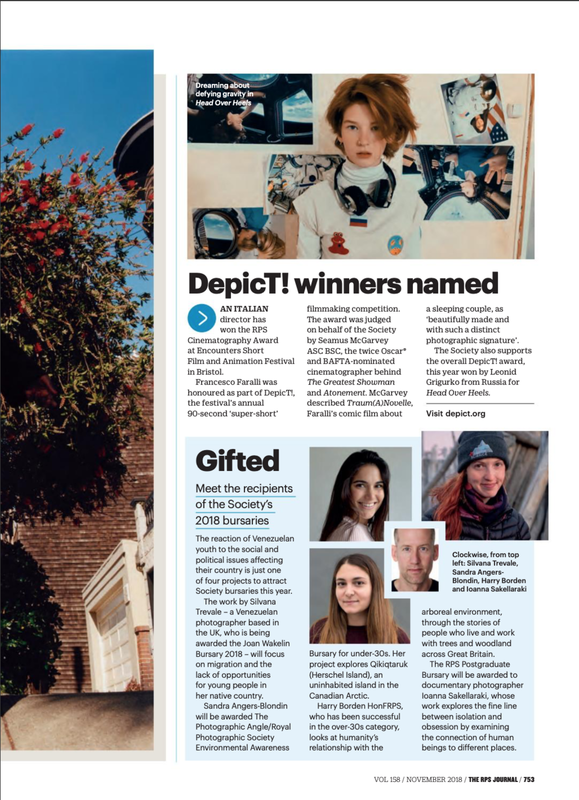 On Tuesday, I got an email with the exciting news that I received the award along 2 other students, Danny Day from Cleveland College of Art and Design, and Katie Mordan from University of Gloucestershire. I am extremely honored and excited to be part of the APHE, and I cannot wait for the Photomeet event coming up next month. As part of the award, I am allowed to review my work with eight recognized artist in the world of photography and to be present at the Photomeet event. Thank you so much APHE for this opportunity and appreciating my work. Here I link the website with the article. scroll down to find. A few weeks ago I traveled to the beautiful city of London to work with a number of models. I had the pleasure to shoot with models from Premier Models, Lenis Models and Storm Models. All the images are on the website in the sections of Location and Studio. Last month we had the founder of Pupil Sphere come and talk about the process of creating the platform, tips and some insight about social media. The aim of Pupil Sphere is to support students, as it is usually a challenging road when graduating for photographers. The platform wants to help students get noticed and showcase their work without any cost. Some insight that was mentioned during the talk was that Twitter is considered by many artists one of the most serious social media outlets to share work, which I agree. Also, Instagram seems to be one successful app to share work. Hello there, in this blog post I want to share a book that I purchased last month. During the talk with Sebastiaan Hanekroot, he was kind enough to bring a number of books he had worked on. The selection was incredible and there were many books that were breathtaking, one that stood out for me was "My last days at seventeen" by Doug Dubois. Published by Aperture which made the price of the book accessible to me. The book portrays the youth of a town in Ireland, a recollection of portraits, still life and a couple of illustrations by Patrick Lynch throughout the book. The detail in the portraits is incredible, they were shot in large format, therefore the images are impeccable. The images are strong technically but also each photograph has a story, along with the booklets inside the book filled with illustrations or sequences of images that bring more to the book. Worth buying this book, the hard work and detail is evident. A few weeks ago we had an interim show at out university, I wasn't sure about how many images I should have printed but at the end, I went for only one big print. I decided to print a 60x60 image in Semigloss paper, I was happy about the way it looked but as I didn't test print prior the final image, the colours weren't right. The photograph had a green tone and also needed to be brighter. Additionally, I decided to add a small print of a cut out of an aerial shot from my city of Caracas, which part of my photo book that I am producing besides the exhibition. Now I know for the final exhibition what to improve and test print for sure. I am so happy to share the fashion story I created with an excellent team in Venezuela. The images were taking in the city of Caracas in my home country Venezuela, with again an amazing team of creatives that love art and to create as much as I do. I was lucky enough to be present at a talk where Alex Stapleton spoke about her practice along with her role in Magnum photos. 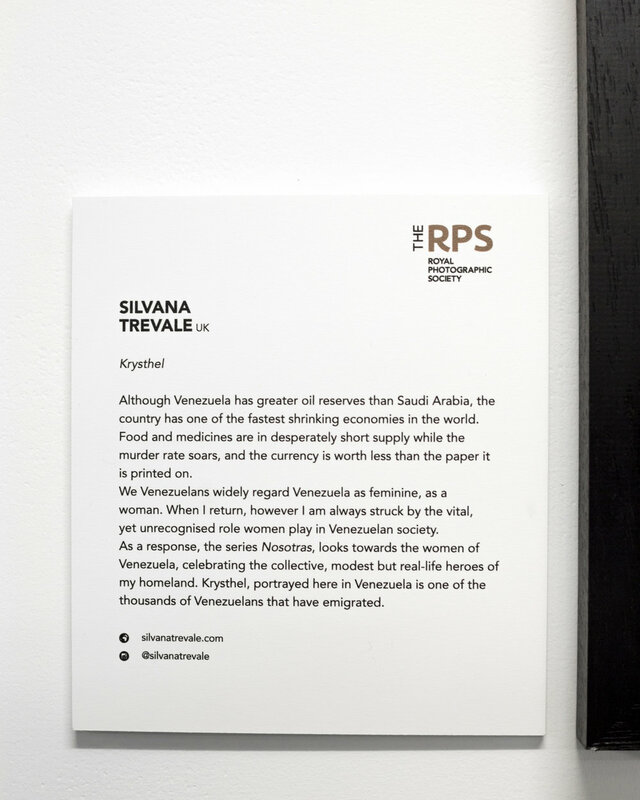 Followed by a portfolio review, at the time I have only started to work on my project about Venezuelan women. 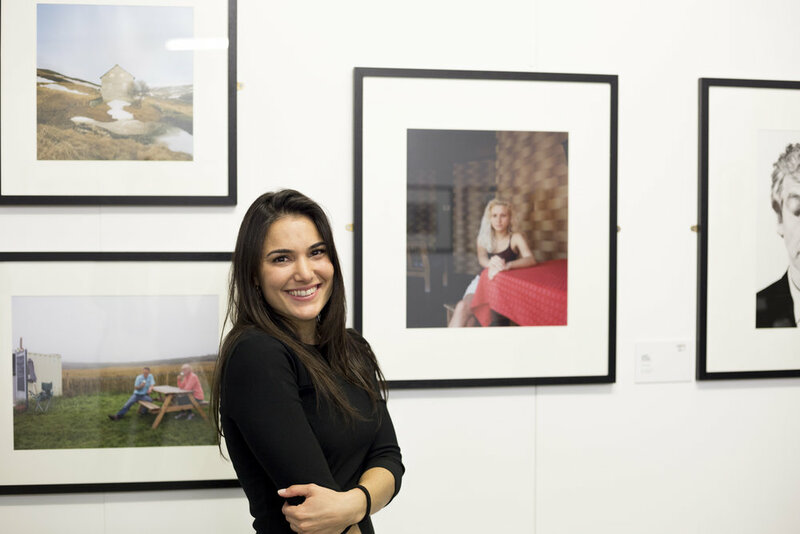 When Alex and I discussed my work she suggested ideas that I could incorporate with my portraits, which made my think about different aspects that my work could undertake. Besides discussing my work, Alex spoke about a book she created in her final year at university. It was a piece of work around the theme of archives which I am familiarized with as last year I was working with archives for my photo book. It was inspiring to see someone that came from where we are right now working in such an influencial organisation. Thank you Alex for your help, hope to see you soon.